Download our latest newsletter: View our newsletters by clicking on the links below. If you have any difficulties, try RIGHT-clicking and selecting “Save link as…”. This will save the newsletter directly to your computer. If you have any issues in accessing the newsletter, contact us and we will help you. 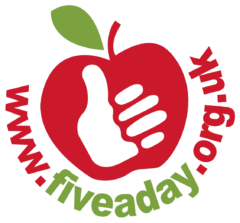 To sign up to the Five a Day Newsletter, please complete the form below. You can unsubscribe at any time by contacting us.